Deciduous forests and thickets of all kinds, usually in dry oak, oak-hickory, or aspen, but occasionally in moist beech-maple stands; often on hillsides and banks. The ventral surface of the sheaths is slightly thickened and concave at the summit. Occasionally one may key a specimen of C. cephaloidea here, but that species has the ventral surface of the sheaths very fragile, not thickened at the truncate summit, as well as an even more strongly scabrous culm above. 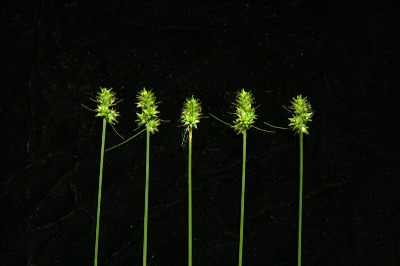 See also remarks under C. muehlenbergii and C. leavenworthii. MICHIGAN FLORA ONLINE. A. A. Reznicek, E. G. Voss, & B. S. Walters. February 2011. University of Michigan. Web. 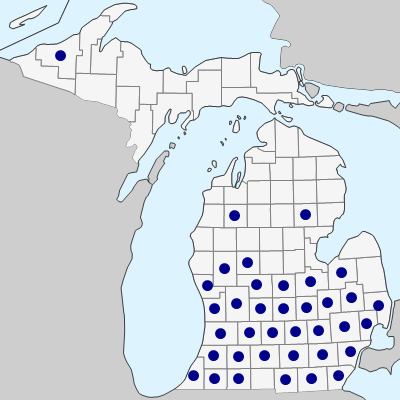 April 21, 2019. https://michiganflora.net/species.aspx?id=930.